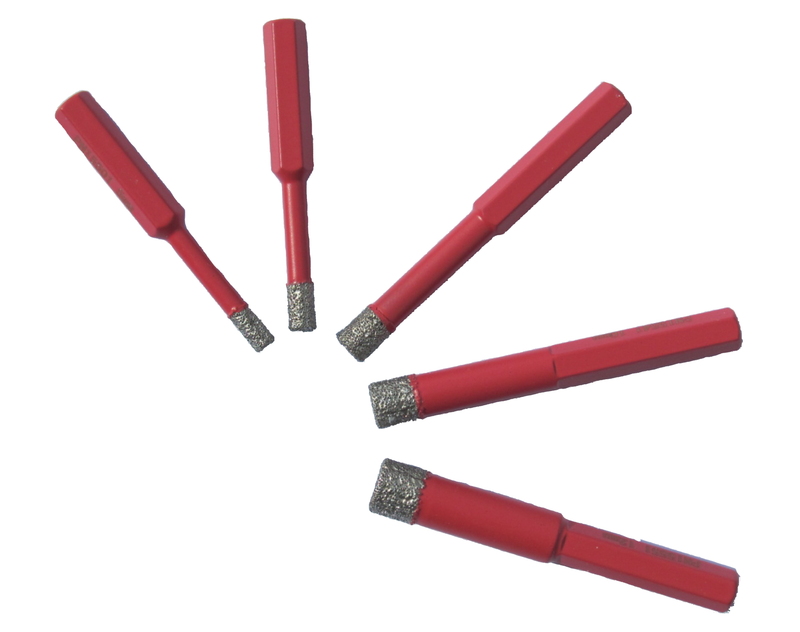 Applications: These diamond tipped drill bits will core neat holes in glass and ceramic tiles. Use with water. They have standard round spindles to fit drill chucks. (Turn off hammer action). 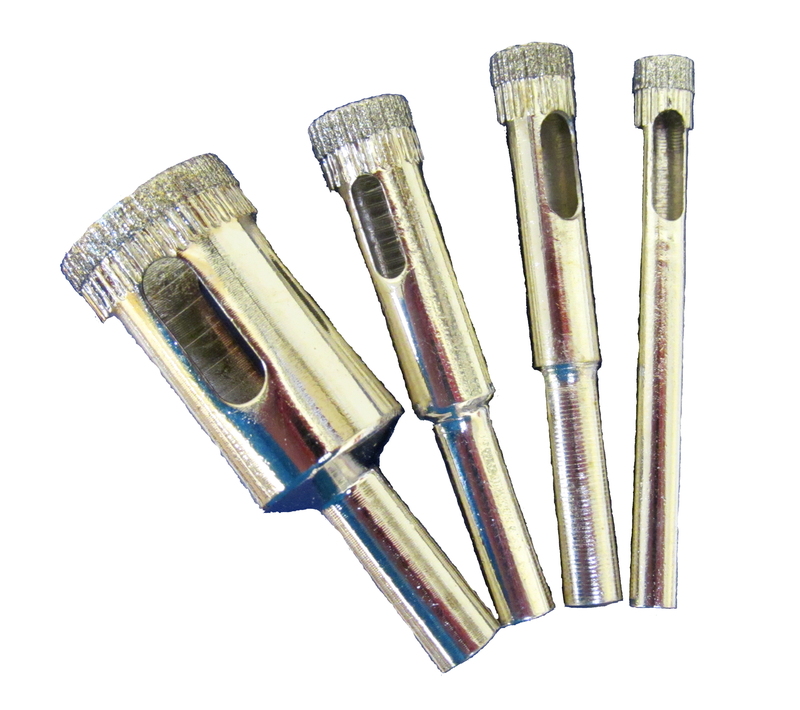 Open core bits to remove neat round plugs. Round spindles to fit standard drill chucks. Best used wet for longer life. Toothed rims for neater action on glass. 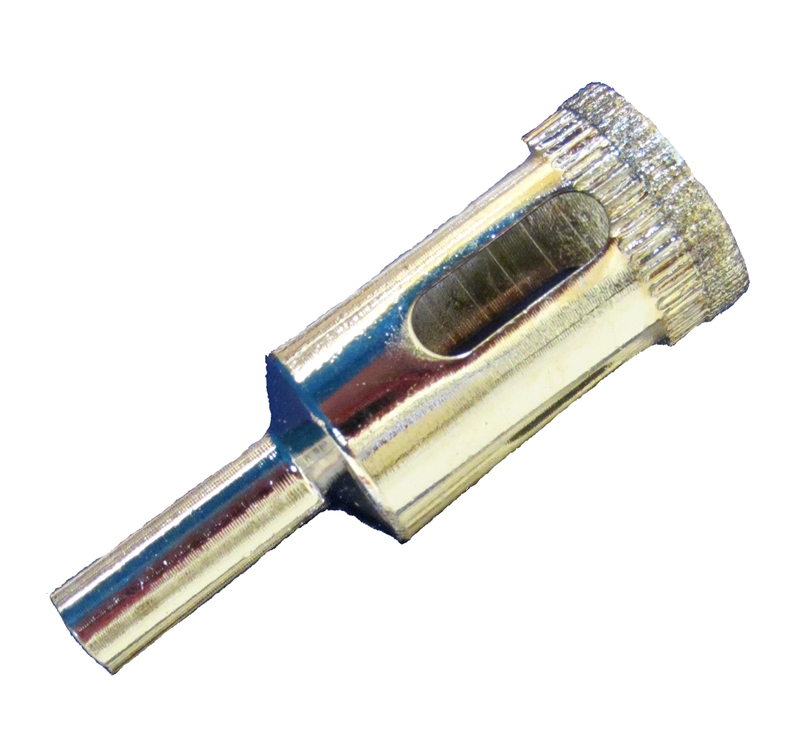 Also Available: We stock premium vacuum brazed diamond drill bits for porcelain and granite, with sizes up to 65mm. 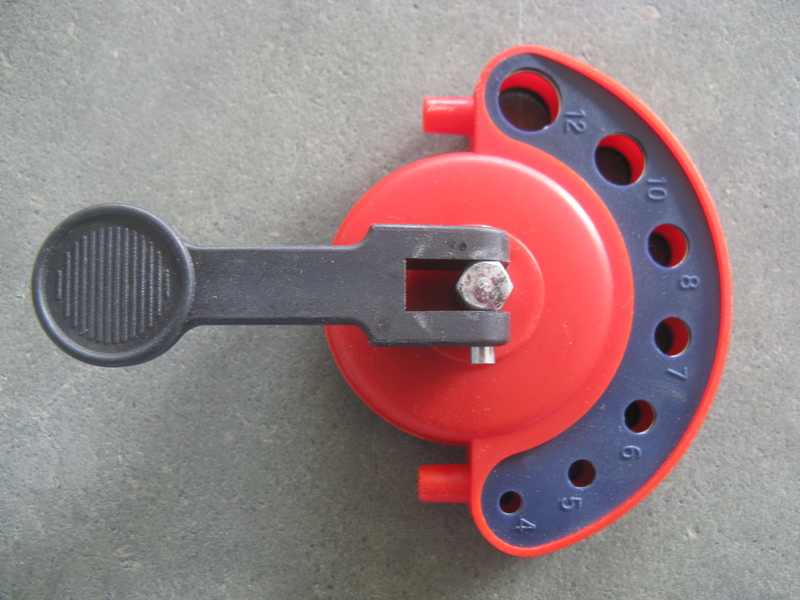 We supply a full range of tile cutting diamond blades for almost any wet tile saw or angle grinder.